If you search the words ‘Most Beautiful Horse in the World’, these are the images of the horse typically associated with that title. Without going beyond the two links I provided, you will find this breed touted as excellent for endurance, dressage, jumping, eventing, vaulting, extreme trail etc… The reality is always the same; it depends on the individual horse, the skill and talent of trainer and rider, the level within the discipline and so on. 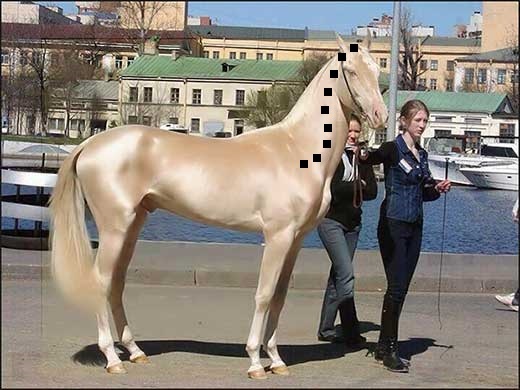 I question the purity of some of the horses pictured on the Akhal-Teke.org website. Some of them look like crossbreds to me. 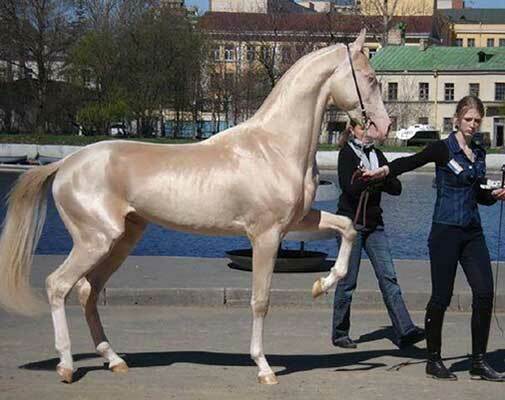 Certainly the Akhal-Teke, and our Most Beautiful horse, is ideally suited to endurance and any disciplines that require above average stamina and endurance. They’d also tend to be suited to disciplines requiring racing/speed. Mhm…not so much and certainly not more than any other random racing conformed individual one can get off the racetrack, and it shows in the dressage pictures displayed on the website I linked. This is simply not a breed, if your ‘serious’ about dressage (medium and up with a natural ability for self-carriage), that will hit your top 10 (or 100) list. Certainly able to leap lower level structures like most any other sound equine, and with a little speed added to the equation, even higher. 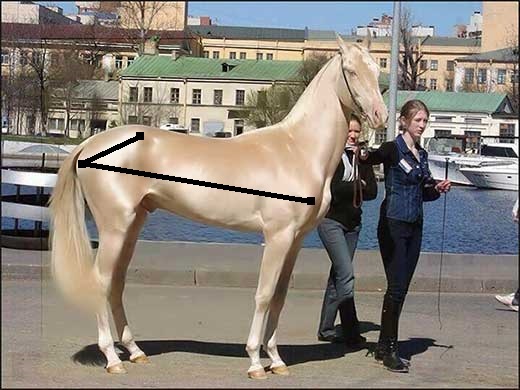 If you take a closer look at the pictures of the individuals jumping and fox hunting on the website, you’ll notice that there are some distinct conformation differences between them and our Most Beautiful Horse, the most obvious being length of pelvis, more general body bulk and compactness. Some of these I suspect are crossbreds. Really? I find this beyond grasping at straws. The ideal vaulting horse almost always is of draft blood, perhaps some mix in there of warmblood. The gaits of the vaulting horse are essential; rhythmic, slow, absorbing, balanced, a chill, obedient temperament, and also that the horse have some body width and mass. Our Most Beautiful Horse fairly represents his breed and is definitely not suited for vaulting in his body. 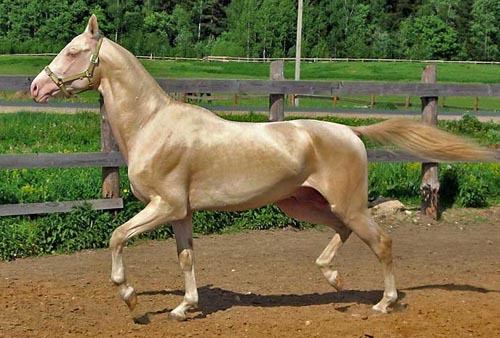 The Akhal-Teke could stand to be improved in a few areas, while still maintaining its intended purposes AND becoming more suited to other riding disciplines. 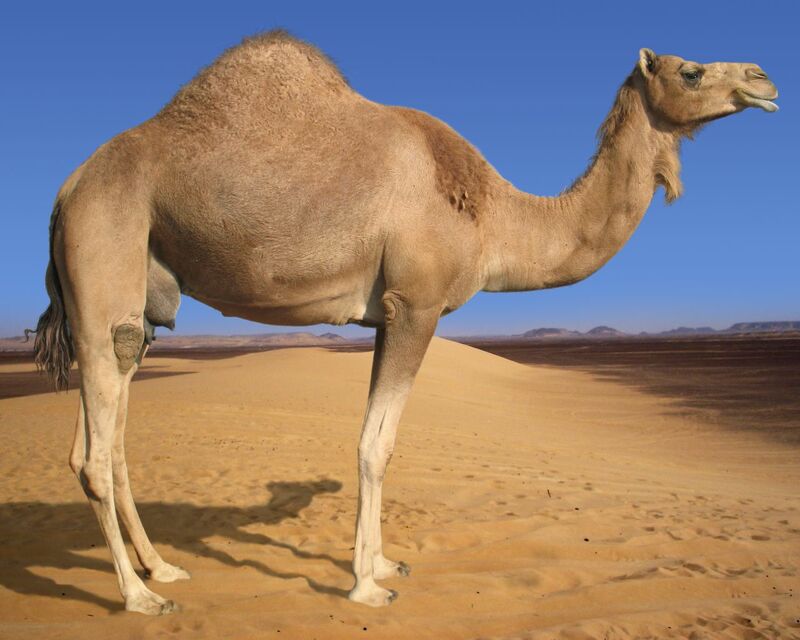 Wither – many of the breed possess camel withers. This makes for a rough, disrupted (withers can’t act as well as the fulcrum point) neck connection, and possible saddle fit issues. Even when this horse articulates its hind joints, lowers its haunch, and lifts its base of neck as a demonstration of engagement, still it is unable to entirely flatten the lower cervical curve; a disruption remains. Pelvis – many of the breed lack pelvic length. This individual is barely adequate at 29%. Fortunately he has a well-placed LS joint, but this one certainly doesn’t possess any power or explosive ability – like what might be required for getting horse and rider out of a spot on the cross country phase. 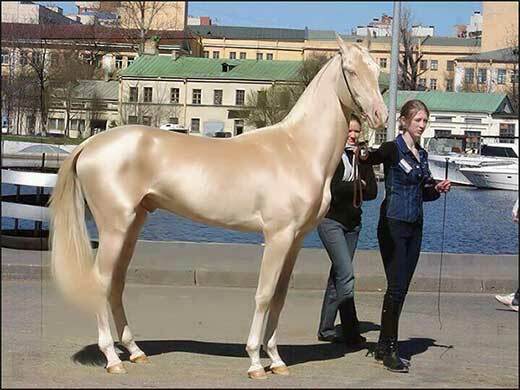 I think this is a picture of the same horse in movement. If not, it’s a very good likeness and perhaps a sibling. In any case, we can see the natural tendency to high-headedness and dropping down of the withers that comes from the same neck structure, as well trailing hocks from being over-angulated behind. This is not suitability for riding disciplines. In conclusion, he’s not ‘my’ Most Beautiful Horse because structurally he lacks in some key areas, even if I only consider him for original purposes.